The staffing, recruiting, and workforce solutions industry makes a vital contribution to the U.S. economy, and provides outstanding job and career opportunities for nearly 17 million employees per year. 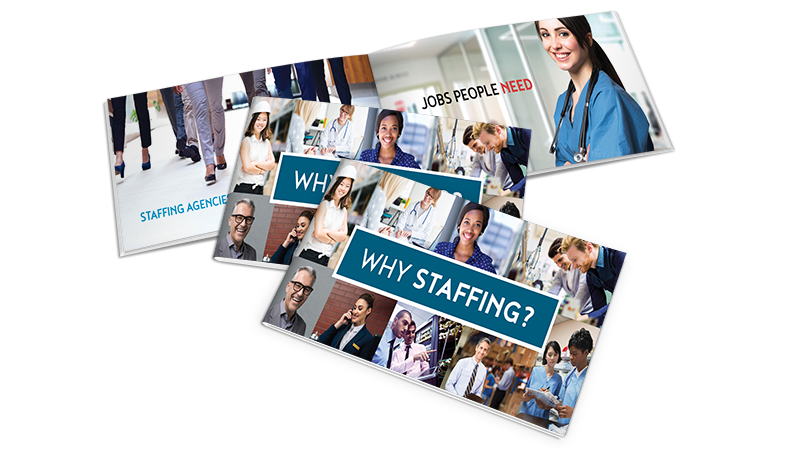 Click on the tabs below to see the facts and statistics for staffing companies and employees. During the course of a year, America’s staffing companies hire nearly 17 million temporary and contract employees. While permanent employment is a top priority for most staffing employees, about one in five cite scheduling flexibility as a key reason for choosing temporary and contract work. Individual assignments range from a few hours to several years; overall employment tenure averages about two and a half months. The average wage is more than $17 per hour; some make more than $100 per hour. Staffing clients turn to staffing companies to achieve workforce flexibility and access to talent. In the U.S., there are about 20,000 staffing and recruiting companies, which altogether operate around 39,000 offices. Approximately 55% of companies and 74% of offices are in the temporary and contract staffing sector of the industry. 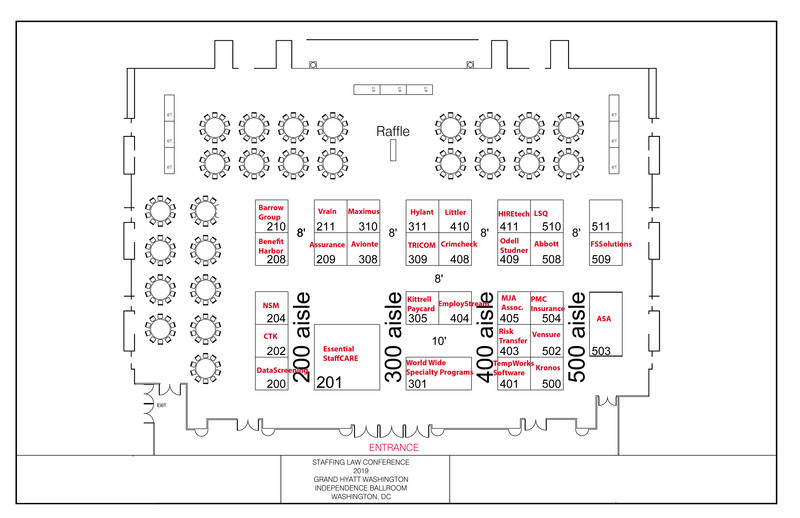 ASA represents a majority of the industry in both sales and offices. 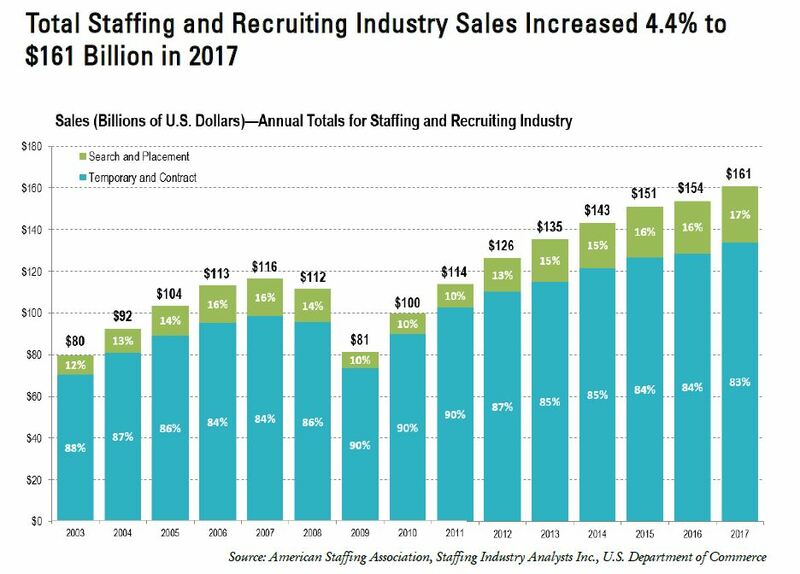 While staffing industry growth has outpaced overall economic and employment growth, it employs only 2% of the U.S. nonfarm workforce.